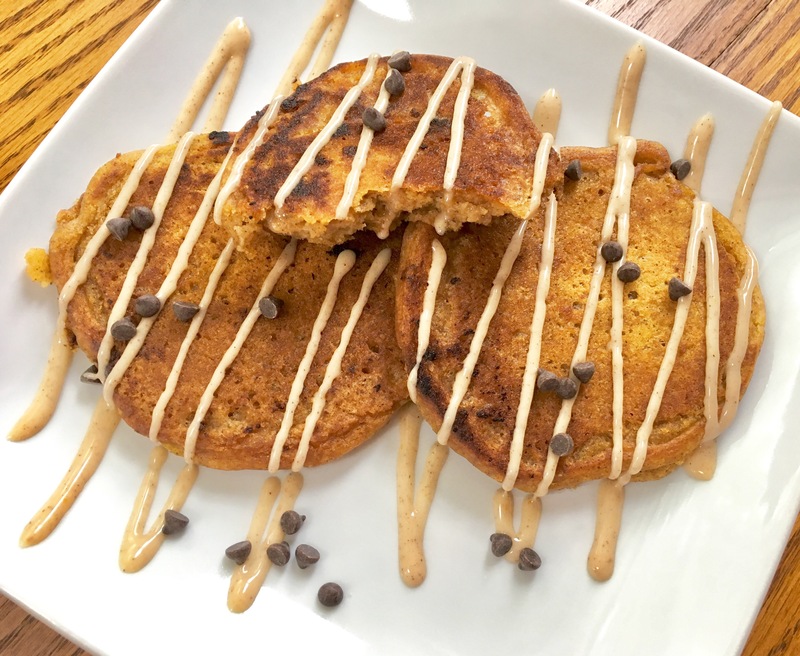 Pumpkin Spice Pancakes (Vegan) – Midnight Munchies & More! It’s pumpkin spice season Y’all! There is no Starbucks near me so I gotta get that PSL flavor in everything else! These are so easy and delicious! Crunchy on the outside and moist and fluffy on the inside….everything I want a pancake to be! Melt your ‘butter’ and set aside. Whisk your ‘milk’ and pumpkin purée. Save a tablespoon for drizzle on top. In a big bowl, mix your flour, baking powder, salt, spices and sugar together and make a well. Pour ‘butter’ and ‘milk’/pumpkin mixture in the well and mix. Use a spoon and do not over mix. Lumps are ok! Cook pancakes in a hot, very well oiled frying pan. You can sprinkle some chocolate chips on them like I did because, well, chocolate. 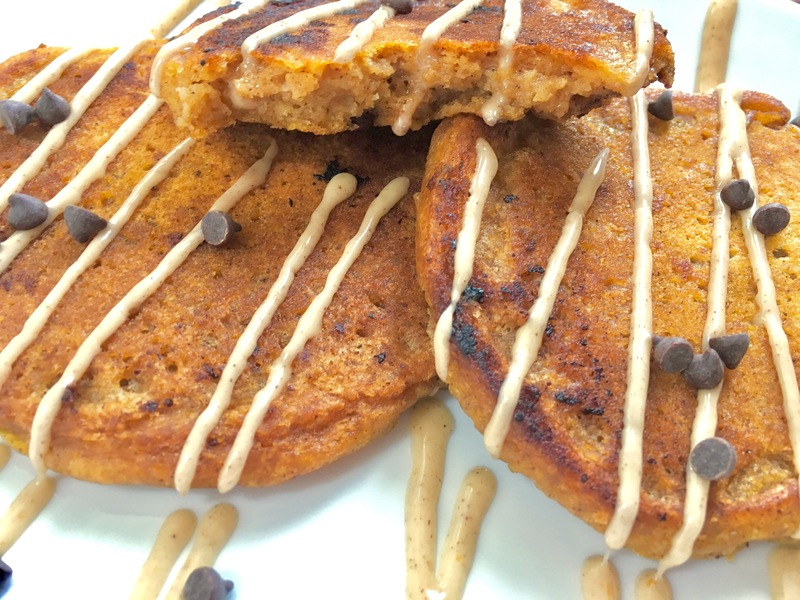 While your pancakes are frying up, mix the powdered sugar and the reserved ‘milk’/pumpkin mix together. You can drizzle it with a spoon or put it in a ziploc bag and snip the end off for a make shift piping bag. Those look so delicious! Thanks for the recipe!